Recently there has been much speculation regarding Sprint’s possible merger with Charter Communications. This could have a big impact on Sprint who has been struggling to keep up with Verizon, AT&T, and T-Mobile for quite some time, however, it seems like Charter may not be interested in the deal. 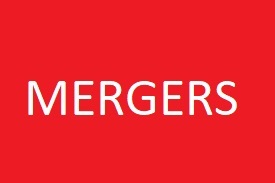 From my perspective, there seems to be more benefits than risks involved with this merger. For consumers, there could be a whole new bundle of services available just like the additional services that resulted from the merger between DirectTV and AT&T. You might be able to buy Sprint’s wireless service together with Charter’s cable service at a discounted rate. As for Sprint, it’s been no secret that they have had a tough time staying competitive with the other top 3 wireless companies. They continue to lose customers because of poor experience which only makes it harder for them to adapt and invest in their network infrastructure. Other similar mergers within big telecom companies have successfully helped build new business models and profit. Sprint is hoping the same will occur for them and it could pull them back from the brink of extinction within the telecom world. Charter has been looking to offer cellular service to their customers at a limited scale for quite some time, and their new mobile plan is still in the works to be launched sometime next year. This plan would allow their customers to browse from their cell phones or tablets by using cable-controlled WiFi hotspots. Sprint could help Charter get the cellular service coverage they need in order to help fill the areas where they do not currently have the availability to provide this service. Also, by merging with Sprint, this would allow Charter to market in new ways and distribute its video product. Even though there seems to be so many advantages for everyone involved, there are also some disadvantages for Charter which is why they are hesitant to make the merger official. As mentioned Sprint’s network is not the best and Charter already has a partnership with Verizon as the backup for their cellular coverage. Since their new mobile plan is still in the early development process they still have time to wait and see if Sprint would be their best move. Finally, even if Charter were to enter into a merger with Sprint, Comcast has the power to end the deal since Charter and Comcast recently signed a pact in which each cable company would not pursue a merger with a wireless carrier without the others consent to do so. Since it still seems like this merger is far from becoming approved, there are other options for both companies in case this does fall through. Sprint has engaged in discussions with T-Mobile in regards to possibly merging with them as well as previous rumors that Charter would merge with Verizon. I am definitely curious to see how this all ends up and who ends up merging with whom if any merger happens at all. However regardless of which company merges I think it will have a great impact on competitive pricing within the industry for everyone.